Just imagine that you are a warrior and you work as a soldier. Your mission is very important, cause you have to kill all foes. There will be a lot of waves, so be ready to fight till the death. We know that you can easily cope with it. Enjoy this game! We need the bravest person here. Just try to kill all foes here. 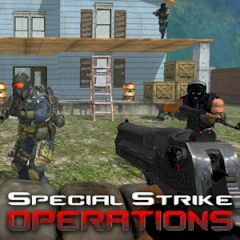 You are special forces soldier and your mission is to shoot incoming enemy forces and try to survive each wave of enemies in order to unlock more powerful weapons. It is not so easy, as it seems to be at first, but we know that you can cope with it. Just try to kill all waves of foes right here. Hurry up! They are almost here! Use the arrow keys to move and mouse click to shoot. Do everything to vanquish this crazy world of games.